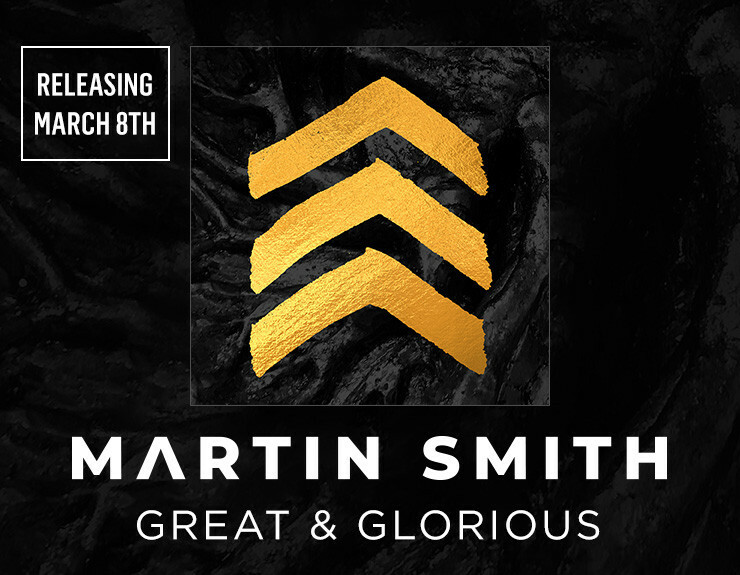 UK worship artist, songwriter and producer Martin Smith, formerly the frontman of the band Delirious?, releases his new single 'Great & Glorious' on Friday March 8th. Martin co-wrote the song with Jonathan Bird, Stephen Evans, Reuben Harsant, Kevin Smartwood and Gabriel Wilson. Following his 2018 'Love Song For A City' recorded around the globe, Martin will release an all new studio album in Spring 2019 (title still to be confirmed), with 'Great & Glorious' being the first single of a brand new collection of stunning songs. Martin is holding an exclusive Listening Party and Film Shoot in London on March 28th at TBN's London Studios, giving 250 people the opportunity to hear the entire brand-new album before the world does, and be in a music video. For the last three decades, Martin Smith has been penning songs that bring fresh air to the lungs of the Church. From “Did You Feel The Mountains Tremble?” and “Waiting Here For You” to “I Could Sing Of Your Love Forever” and “History Maker,” Martin’s songs have connected generations and inspired and influenced worship leaders and worshippers alike.